Coordinates: 12°58′13″N 77°33′37″E﻿ / ﻿12.970214, 77.56029 Karnataka (Kannada: ಕನಾ೯ಟಕ, IPA: [kəɾˈnɑːʈəkɑː] ▶), a state in the southern part of India, was created on November 1, 1956, with the passing of the States Reorganisation Act. Originally known as the State of Mysore, the government renamed Karnataka in 1973. The Arabian Sea borders Karnataka to the west, Goa to the northwest, Maharashtra to the north, Andhra Pradesh to the east, Tamil Nadu to the southeast, and Kerala to the southwest. The state, covering an area of 191,791 km² (74,051 sq mi) or 5.83 percent of the total geographical area of India, has the eighth largest population in Indian by area, the ninth largest by population and comprises 29 districts. Kannada serves as the official, and most widely spoken, language. Though several etymologies have been suggested for the name Karnataka, most people accept that Karnataka derives from the Kannada words karu and nādu, meaning elevated land. Karu nadu may also be read as Karu (black) and nadu (region), as a reference to the black cotton soil found in the Bayaluseeme region of Karnataka. The British used the word Carnatic (sometimes Karnatak) to describe both sides of peninsular India, south of the Krishna River. With an antiquity that dates to the paleolithic, Karnataka has also been home to some of the most powerful empires of ancient India. Great philosophers and musical bards patronised by those empires launched socio-religious and literary movements which have endured to the present day. Karnataka has contributed significantly to both forms of Indian classical music, the Carnatic and Hindustani traditions. Writers in the Kannada language have received the most number of Jnanpith awards in India. Bangalore, the capital city of the state, stands at the forefront of India's rapid economic and technological development. The history of Karnataka traces back to a paleolithic hand-axe culture evidenced by discoveries of, among other things, hand axes and cleavers in the region. Evidence of neolithic and megalithic cultures have also been found in the state. Gold discovered in Harappa had been imported from mines in Karnataka, prompting scholars to hypothesize about contacts between ancient Karnataka and the Indus Valley Civilization in 3000 B.C.E. Prior to the third century B.C.E., most of Karnataka had been part of the Nanda Empire before coming under the Mauryan Empire of Emperor Ashoka. Four centuries of Satavahana rule followed, allowing them to control large areas of Karnataka. The decline of Satavahana power led to the rise of the earliest native kingdoms, the Kadambas and the Western Gangas, marking the region's emergence as an independent political entity. The Kadamba Dynasty, founded by Mayurasharma, had its capital at Banavasi; Talakad emerged as the capital of the Western Ganga Dynasty. Those kingdoms represent the first to use Kannada in administration, as evidenced by the Halmidi inscription and a fifth-century copper coin discovered at Banavasi. The imperial Kannada empires such as the Badami Chalukyas, the Rashtrakuta Empire of Manyakheta and the Western Chalukya Empire, which ruled over large parts of the Deccan and had their capitals in contemporary Karnataka, followed those dynasties. The Western Chalukyas patronized a unique style of architecture and Kannada literature which became a precursor to the Hoysala art of twelfth century. At the turn of the first millennium, the Hoysalas gained power in the region. Literature flourished during that time, leading to the distinctive Kannada literary metres and the construction of temples and sculptures adhering to the Vesara style of architecture. The expansion of the Hoysala Empire brought parts of modern Andhra Pradesh and Tamil Nadu under its rule. In the early fourteenth century, Harihara and Bukka Raya established the Vijayanagara empire with its capital, Hosapattana (later named Vijayanagara), on the banks of the Tungabhadra River in the modern Bellary district. The empire rose as a bulwark against Muslim advances into South India, which it completely controlled for over two centuries. In 1565, Karnataka and the rest of South India experienced a major geopolitical shift when the Vijayanagara Empire fell to a confederation of Islamic sultanates in the Battle of Talikota. The Bijapur Sultanate, which had risen after the demise of the Bahmani Sultanate of Bidar, soon took control of the Deccan; the Moghuls defeated it in the late seventeenth century. The Bahamani and Bijapur rulers encouraged Urdu and Persian literature and Indo-Saracenic architecture, the Gol Gumbaz being one of the high points of that style. In the period that followed, the Nizam of Hyderabad, the British, and other powers ruled parts of northern Karnataka. In the south, the Mysore Kingdom, former vassals of the Vijayanagara Empire, enjoyed a brief period of independence. With the death of Krishnaraja Wodeyar II, Haidar Ali, the commander-in-chief of the Mysore army, gained control of the region. After his death, his son Tipu Sultan inherited the kingdom. 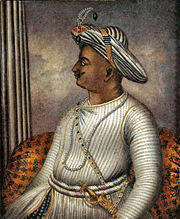 To contain European expansion in South India, Haider Ali and later Tipu Sultan fought four significant Anglo-Mysore Wars, the last resulting in Tipu Sultan's death and the incorporation of Mysore into the British Raj in 1799. The Kingdom of Mysore was restored to the Wodeyars and Mysore, remaining a princely state under the British Raj. As the "doctrine of lapse" gave way to dissent and resistance from princely states across the country, Kittur Chennamma, Sangolli Rayanna and others spearheaded rebellions in Karnataka in 1830, nearly three decades before the Indian Rebellion of 1857. Other uprisings followed, such as the ones at Supa, Bagalkot, Shorapur, Nargund and Dandeli. Those rebellions coincided with the 1857 war of independence led by Mundargi Bhimarao, Bhaskar Rao Bhave, the Halagali Bedas, Venkatappa Nayaka, and others. By the late nineteenth century, the freedom movement had gained momentum; Karnad Sadashiva Rao, Aluru Venkata Raya, S. Nijalingappa, Kengal Hanumanthaiah, Nittoor Srinivasa Rau and others carried on the struggle into the early twentieth century. After India's independence, the Maharaja, Jayachamarajendra Wodeyar, allowed his kingdom's accession to India. In 1950, Mysore became an Indian state of the same name; the former Maharaja served as its Rajpramukh (head of state) until 1975. Following the long-standing demand of the Ekikarana Movement, Kodagu and Kannada speaking regions from the adjoining states of Madras, Hyderabad and Bombay incorporated into the Mysore state under the States Reorganization Act of 1956. The thus expanded state received the new name Karnataka, 17 years later, in 1973. The state has three principal geographical zones: the coastal region of Karavali, the hilly Malnad region comprising the Western Ghats and the Bayaluseeme region comprising the plains of the Deccan plateau. The bulk of the state falls into the Bayaluseeme region, the northern part of which constitutes the second largest arid region in India. The Mullayanagiri hills in Chikkamagaluru district, at an altitude of 1,929 meters (6,329 ft), stands as the highest point in Karnataka. Some of the important rivers in Karnataka include the Kaveri, the Tungabhadra, the Krishna and the Sharavathi. Karnataka consists of four main types of geological formations—the Archean complex made up of Dharwad schists and granitic gneisses, the Proterozoic non-fossiliferous sedimentary formations of the Kaladgi and Bhima series, the Deccan trappean and intertrappean deposits and the tertiary and recent laterites and alluvial deposits. Significantly, the Archean complex, consisting of gneisses, granites and charnockite rocks, comprises about 60% of the state. Laterite cappings, found in many districts over the Deccan Traps, had been formed after the cessation of volcanic activity in the early tertiary period. Karnataka's earth falls into eleven groups of soil orders, viz. Entisols, Inceptisols, Mollisols, Spodosols, Alfisols, Ultisols, Oxisols, Aridisols, Vertisols, Andisols and Histosols. Depending on the agricultural capability of the soil, the soil types divide into six types, viz. Red, lateritic, black, alluvio-colluvial, forest and coastal soils. Karnataka experiences four seasons. The winter takes place in January and February followed by summer between March and May, the monsoon season between June and September and the post-monsoon season from October till December. Meteorologically, Karnataka divides into three zones—coastal, north interior and south interior. Of those, the coastal zone receives the heaviest rainfall with an average rainfall of about 3,638.5 mm (143 in) per annum, far in excess of the state average of 1,139 mm (45 in). Agumbe in the Shivamogga district receives the second highest annual rainfall in India. The highest recorded temperature reached 45.6 °C (114 °F) at Raichur and the lowest recorded temperature fell to 2.8 °C (37 °F) at Bidar. Forests, covering about 38,724 km² (14,951 sq mi) of Karnataka (i.e. 20% of the state's geographic area), fall into the classifications reserved, protected, unclosed, village and private forests. The percentage of forested area makes up slightly less than the all-India average of about 23%, and significantly less than the 33% prescribed in the National Forest Policy. 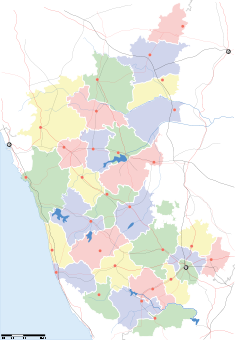 Karnataka divides into twenty nine districts—Bagalkote, Bangalore Rural, Bangalore Urban, Belgaum, Bellary, Bidar, Bijapur, Chamarajanagar, Chikkaballapur, Chikkamagaluru, Chitradurga, Dakshina Kannada, Davanagere, Dharwad, Gadag, Gulbarga, Hassan, Haveri, Kodagu, Kolar, Koppal, Mandya, Mysore, Raichur, Ramanagara, Shimoga, Tumkur, Udupi and Uttara Kannada. 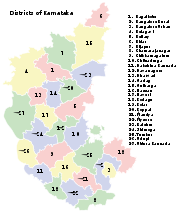 A district commissioner or district magistrate governs each district. They further divide into sub-divisions, governed by sub-divisional magistrates; sub-divisions comprise blocks containing panchayats (village councils) and town municipalities. As per the 2001 census, Bangalore, Hubli-Dharwad, Mysore, Gulbarga, Belgaum and Mangalore represent Karnataka's six largest cities sorted in order of decreasing population. Bangalore, alone, has a population of more than one million. Bangalore Urban, Belgaum and Gulbarga constitute the most populous districts, each of them having a population of more than three million. Gadag, Chamarajanagar and Kodagu districts have a population of less than one million. According to the 2001 census of India, the total population of Karnataka stood at 52,850,562; 26,898,918 (50.89%) male and 25,951,644 (49.11%) female, or 1000 males for every 964 females. That represents a 17.25% increase over the population in 1991. The population density stood at 275.6 per km² and 33.98% of the people live in urban areas. The literacy rate reached 66.6% with 76.1% of males and 56.9% of females achieving literacy. 83.8% of the population declare Hinduism, 12.23% Islam, 1.91% Christian, 0.78% Jainism, 0.73% Buddhism, and with the remainder belonging to other religions. 64.75% of the people speak Kannada, the official language of Karnataka, as a native language. Other linguistic minorities in the state as of 1991 include Urdu (9.72%), Telugu (8.34%), Marathi (3.95%), Tamil (3.82%), Tulu (3.38%), Hindi (1.87%), Konkani (1.78%), Malayalam (1.69%) and Kodava Takk (0.25%). The state has a birth rate of 2.2%, a death rate of 0.72%, an infant mortality rate of 5.5% and a maternal mortality rate of 0.195%. The total fertility rate stands at 2.2. In the field of super-specialty health care, Karnataka's private sector competes with the best in the world. Karnataka has also established a modicum of public health services having a better record of health care and child care than most other states of India. In spite of those advances, some parts of the state still leave much to be desired when it comes to primary health care. Karnataka, like other Indian states, has a parliamentary system of government with two democratically elected state legislatures, the Legislative Assembly and the Legislative Council. The Legislative Assembly consists of 224 members elected for five-year terms. The Legislative Council, a permanent body, consists of seventy five members with one-third of its members retiring every two years. The Chief Minister, chosen by the ruling party members of the Legislative Assembly, heads the government of Karnataka. The Chief Minister, along with the council of ministers, drives the legislative agenda and exercises most of the executive powers. The Governor, appointed for a five year term by the President of India on the advice of the union government, stands as the constitutional and formal head of the state. The citizens of Karnataka also elect twenty eight members to the Lok Sabha, the lower house of the Indian Parliament. The members in the state assembly elect twelve members to the Rajya Sabha, the upper house of the Indian Parliament. Administratively, Karnataka has been divided into four revenue divisions, 49 sub-divisions, 29 districts, 175 taluks and 745 hoblies/revenue circles. A Deputy Commissioner, who belongs to the Indian Administrative Service receiving assistance from a number of officers belonging to Karnataka state services, heads the administration in each district. The Deputy Commissioner of Police, an officer belonging to the Indian Police Service and assisted by the officers of the Karnataka Police Service, has the responsibility of maintaining law and order and related issues in each district. The Deputy Conservator of Forests, an officer belonging to the Indian Forest Service, also serves the government. The district head of each development department, such as Public Works Department, Health, Education, Agriculture, Animal Husbandry, looks after the sectoral development in the districts. The judiciary in the state consists of the Karnataka High Court (Attara Kacheri) in Bangalore, district and session courts in each district and lower courts and judges at the taluk level. Three political parties, the Indian National Congress, the Janata Dal (Secular) and the Bharatiya Janata Party have dominated politics in Karnataka. Politicians from Karnataka have played prominent roles in federal government of India with some of them having held the high positions of Prime Minister and Vice President. Border disputes involving Karnataka's claim on the Kasaragod and Sholapur districts and Maharashtra's claim on Belgaum have been ongoing since the states reorganisation. 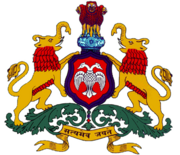 The official emblem of Karnataka has a Ganda Berunda in the center. Four lions facing the four directions, taken from the Lion Capital of Asoka at Sarnath surmount that. The emblem also carries two Sharabhas with the head of an elephant and the body of a lion. Karnataka, with a GSDP (Gross State Domestic Product) of about Rs. 1940.09 billion ($ 46.19 billion) in the 2006-2007 fiscal year, has one of the more progressive states economies in India. The state registered a GSDP growth rate of 9.2 percent for the year 2006-2007. Karnataka's contribution to India's GDP in the year 2004-2005 was 5.2 percent. Karnataka has been the fastest growing state over the past decade in terms of GDP and per capita GDP. With GDP growth of 56.2 percent and per capita GDP growth of 43.9 percent, Karnataka now has the sixth highest per-capita GDP of all states. Until September 2006 Karnataka received a Foreign Direct Investment of Rs. 78.097 billion ($ 1.7255 billion) for the fiscal year 2006-2007, placing it third among the states of India. At the end of 2004, the unemployment rate in Karnataka stood at 4.94 percent compared to the national rate of 5.99 percent. For the fiscal year 2006-2007, the inflation rate in Karnataka reached 4.4 percent, compared to the national average of 4.7 percent. As of 2004-2005, Karnataka had an estimated poverty ratio of 25 percent, slightly less than the national ratio of 27.5 percent. Nearly 56 percent of the workforce in Karnataka works in agriculture and related activities. A total of 12.31 million hectares of land, or 64.6 percent of the state's total area, has been cultivated. Much of the agricultural output depends on the southwest monsoon as only 26.5 percent of the sown area uses irrigation. Karnataka serves as the manufacturing hub for some of the largest public sector industries in India, including Hindustan Aeronautics Limited, National Aerospace Laboratories, Bharat Heavy Electricals Limited, Indian Telephone Industries, Bharat Earth Movers Limited and Hindustan Machine Tools, based in Bangalore. Many of India's premier science and technology research centers, such as Indian Space Research Organization, Bharat Electronics Limited and the Central Food Technological Research Institute, headquarter in Karnataka. Mangalore Refinery and Petrochemicals Limited, a oil refinery, has headquarter offices located in Mangalore. Since the 1980s, Karnataka has emerged as the pan-Indian leader in the field of IT (information technology). As of 2007, nearly 2000 firms operate out of Karnataka. Many of them, including two of India's biggest software firms, Infosys and Wipro also headquarter in the state. Exports from these firms exceeded Rs. 50,000 crores ($12.5 billion) in 2006-2007, accounting for nearly 38 percent of all IT exports from India. All that has earned the state capital, Bangalore, the sobriquet Silicon Valley of India. Karnataka also leads the nation in biotechnology, serving as home to India's largest biocluster, with 158 of the country's 320 biotechnology firms being based here. The state also accounts for 75 percent of India's floriculture, an upcoming industry which supplies flowers and ornamental plants worldwide. Seven of India's leading banks, Canara Bank, Syndicate Bank, Corporation Bank, Vijaya Bank, Karnataka Bank, Vysya Bank and the State Bank of Mysore originated in this state. The coastal districts of Udupi and Dakshina Kannada have a branch for every 500 persons—the best distribution of banks in India. As of March 2002, Karnataka had 4767 branches of different banks with each branch serving 11,000 persons, lower than the national average of 16,000. Kingfisher Airlines which is based in Bangalore. Air transport in Karnataka, although fledgling as in the rest of the country, has been expanding rapidly. Karnataka has airports at Bengaluru (Bangalore), Mangaluru (Mangalore), Hubballi (Hubli), Belagavi (Belgaum), Hampi and Bellary with international operations from Mangaluru and Bengaluru airports. Officials expect airports at Mysuru (Mysore), Kalburgi (Gulbarga), Bijapur, Hassan and Shivamogga to be operational by the end of 2007. Major airlines such as Kingfisher Airlines and Air Deccan call Bangalore their home base. Karnataka has a railway network with a total length of approximately 3,089 kilometers (1,919 mi). Until the creation of the South Western Zone headquartered at Hubli in 2003, the railway network in the state confined to the Southern and Western railway zones. Several parts of the state now come under the South Western Zone, with the remainder under the Southern Railways. The Konkan railway network, considered India's biggest railway project of the century, covers Coastal Karnataka. Bangalore has extensive connections with inter-state destinations while enjoying less extensive service to other important cities and towns in the state. Karnataka has one major port, the New Mangalore Port, and ten other minor ports. The New Mangalore port incorporated as the ninth major port in India on May 4, 1974. That port handled 32.04 million tons of traffic in the fiscal year 2006-07 with 17.92 million tons of imports and 14.12 million tons of exports. The port also handled 1015 vessels including 18 cruise vessels during the year 2006-2007. The inland water transport within the state remains to be developed. The total lengths of National Highways and state highways in Karnataka measure 3,973 kilometers (2,469 mi) and 9,829 kilometers (6,107 mi), respectively. The KSRTC, the state public transport corporation, transports an average of 2.2 million passengers daily and employs about 25,000 people. In the late 1990s, KSRTC split into three corporations, viz., The Bangalore Metropolitan Transport Corporation, The North-West Karnataka Road Transport Corporation and The North-East Karnataka Road Transport Corporation with their headquarters in Bangalore, Hubli, and Gulbarga respectively. The diverse linguistic and religious ethnicities native to Karnataka combine with their long histories contributing immensely to the varied cultural heritage of the state. Apart from Kannadigas, Karnataka serves as home to Tuluvas, Kodavas and Konkanis. Minor populations of Tibetan Buddhists and tribes like the Soligas, Yeravas, Todas and Siddhis also live in Karnataka. Itinerant troupes cover the traditional folk arts the entire gamut of music, dance, drama, and storytelling. 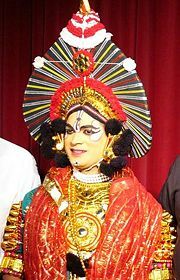 Yakshagana of coastal Karnataka, a classical folk play, represents one of the major theatrical forms of Karnataka. Contemporary theatre culture in Karnataka remains vibrant with organizations like Ninasam, Ranga Shankara, Rangayana and Prabhat Kalavidaru continuing to build on the foundations laid by Gubbi Veeranna, T. P. Kailasam, B. V. Karanth, K. V. Subbanna, Prasanna, and others. Veeragase, Kamsale and Dollu Kunitha constitute popular dance forms. The Mysore style of Bharatanatya nurtured and popularized by the legendary Jatti Tayamma continues to hold sway in Karnataka and Bangalore also enjoys an eminent place as one of the foremost centers of Bharatanatya. Karnataka also has a special place in the world of Indian classical music with both Carnatic and Hindustani styles finding place in the state and Karnataka has produced a number of stalwarts in both styles. The Haridasa movement of the sixteenth century contributed seminally to the development of Carnatic music as a performing arts form. Purandara Dasa, one of the most revered Haridasas, gained fame as the Karnataka Sangeeta Pitamaha ('Father of Carnatic music'). Celebrated Hindustani musicians like Gangubai Hangal, Mallikarjun Mansur, Bhimsen Joshi, Basavaraja Rajaguru, Sawai Gandharva and several others hail from Karnataka and some of them have been recipients of the Kalidas Samman, Padma Bhushan and Padma Vibhushan awards. Gamaka, another classical music genre based on Carnatic music, enjoys popularity in Karnataka. Kannada Bhavageete constitutes a genre of popular music that draws inspiration from the expressionist poetry of modern poets. The Mysore school of painting has produced painters like Sundarayya, Tanjavur Kondayya, B. Venkatappa and Keshavayya. Chitrakala Parishat, an organization in Karnataka dedicated to promoting painting, practices mainly the Mysore painting style. Saree refers to the traditional dress of women in Karnataka. Women in Kodagu have a distinct style of wearing the saree, different from the rest of Karnataka. Dhoti, known as Panche in Karnataka, refers to the traditional attire of men. Men widely wear Shirt, Trousers, and Salwar kameez in urban areas. Mysore peta names the traditional headgear of Karnataka. Rice and Ragi form the staple food in South Karnataka, whereas Sorghum makes up the staple in North Karnataka. Apart from that, coastal Karnataka and Kodagu have a distinctive cuisine of their own. Bisi bele bath, Jolada rotti, Ragi mudde, Uppittu, Masala Dose and Maddur Vade number among the popular food items in Karnataka. Among sweets, Mysore Pak and Dharwad pedha hold the top spot. The three most important schools of Hindu philosophy, Advaita, Vishistadvaita and Dvaita blossomed in Karnataka. Madhvacharya had been born in Karnataka while Adi Shankaracharya chose Sringeri in Karnataka to establish the first of his four mathas. Ramanujacharya, who fled persecution by the Cholas in modern Tamil Nadu, spent many years in Melkote. In the twelfth century, Veerashaivism emerged in northern Karnataka as a protest against the rigidity of the prevailing social and caste system. Basava, Akka Mahadevi and Allama Prabhu, who established the Anubhava Mantapa expounding the philosophy of Shakti Vishishtadvaita emerged as leading figures of that movement. That served as the basis of the Lingayat faith which today counts millions among its followers. The Jain philosophy and literature have contributed immensely to the religious and cultural landscape of Karnataka. Islam, which had a presence on the west coast of India as early as the tenth century, gained a foothold in Karnataka with the rise of the Bahamani and Bijapur sultanates that ruled parts of Karnataka. Christianity reached Karnataka in the sixteenth century with the arrival of the Portuguese and St. Francis Xavier in 1545. Buddhism proved popular in Karnataka during the first millennium in places such as Gulbarga and Banavasi. A chance discovery of edicts and several Mauryan relics at Sannati in Gulbarga district in 1986 has proven that the Krishna River basin once served as home to both Mahayana and Hinayana Buddhism. People of Karnataka celebrate Mysore Dasara as the Nada habba (state festival), marking major festivities at Mysore. Ugadi (Kannada New Year), Makara Sankranti (the harvest festival), Ganesh Chaturthi, Nagapanchami, Basava Jayanthi and Ramzan constitute the other major festivals of Karnataka. The Kannada language constitues the official language of the state and the native language of approximately 65 percent of Karnataka's population. Kannada played a crucial role in the creation of Karnataka since linguistic demographics proved a major criterion chosen to create the state in 1956. Tulu, Kodava Takk and Konkani represent other major native languages that share a long history in the state. The Muslim population widely speaks Urdu. Less widely spoken languages include Beary bashe and certain dialects such as Sankethi. Kannada features a rich and ancient body of literature covering topics as diverse as Jainism, Vachanas, and Haridasa Sahitya. Evidence from edicts during the time of Ashoka the Great suggest that Buddhist literature influenced the Kannada script and its literature. The Halmidi inscription, the earliest attested full-length inscription in the Kannada language and script, dates to 450 C.E. while the earliest available literary work, the Kavirajamarga, has been dated to 850 C.E. References made in the Kavirajamarga prove that Kannada literature flourished in the Chattana, Beddande, and Melvadu metres during earlier centuries. 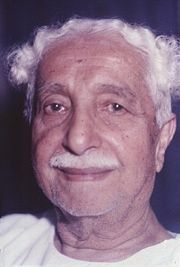 Kuvempu, the renowned Kannada poet and writer who wrote Jaya Bharata Jananiya Tanujate, the state anthem of Karnataka became the first person to receive the "Karnataka Ratna" award, the highest civilian award bestowed by the Government of Karnataka. Contemporary Kannada literature has become well recognized in the arena of Indian literature, with seven Kannada writers winning India's highest literary honor, the Jnanpith award, the highest for any language in India. People in the coastal districts of Udupi and Dakshina Kannada mainly speak Tulu. Arunabja wrote Tulu Mahabharato in Tulu script, the oldest surviving Tulu text. The Tulu language now uses the Kannada script due to the gradual decline of the Tulu script, in use until a few centuries ago. The Kodavas who mainly reside in the Kodagu district, speak Kodava Takk. Two regional variations of the language exist, the northern Mendale Takka and the southern Kiggaati Takka. People in the Uttara Kannada district and in some parts of the Udupi and Dakshina Kannada districts mostly speak Konkani. Both Kodava Takk and Konkani use the Kannada script for writing. Many schools use English as the medium for education while technology-related companies and BPOs use English widely in business communications. Governmental and quasi-governmental bodies patronise and promote all of the state's languages. The Kannada Sahitya Parishat and the Kannada Sahitya Akademi share responsibility for the promotion of Kannada while the Karnataka Konkani Sahitya Akademi, The Tulu Sahitya Akademi and the Kodava Sahitya Akademi promote their respective languages. As per the 2001 census, Karnataka had a literacy rate of 67.04%, with 76.29% of males and 57.45% of females in Karnataka being literate.Some of the premier educational and research institutions of India such as the Indian Institute of Science, the Indian Institute of Management, the National Institute of Technology Karnataka and the National Law School of India University call Karnataka home. As of March 2006, Karnataka had 54,529 primary schools with 252,875 teachers and 8.495 million students, and 9498 secondary schools with 92,287 teachers and 1.384 million students. Three kinds of schools operate in Karnataka, viz., government-run, private aided (government provides financial aid) and private unaided (run without financial aid). Kannada and English constitute the primary languages of instruction in most schools. Schools follow either the syllabus taught in the CBSE, the ICSE or the state syllabus defined by the Department of Public Instruction of the Government of Karnataka. To maximize attendance in schools, the Karnataka Government has launched a mid-day meal scheme in government and aided schools in which they provide free lunch to the students. The schools conduct Statewide board examinations at the end of the period of secondary education; students who qualify may pursue a two-year pre-university course; after which students become eligible to pursue under-graduate degrees. Universities in the state, viz. Bangalore University, Mysore University, Mangalore University, Gulbarga University, Kuvempu University and Karnatak University offer a total of 481 degrees programs. In 1998, the state government brough the engineering colleges in the state under the newly-formed Visvesvaraya Technological University headquartered at Belgaum, whereas Rajiv Gandhi University of Health Sciences runthe medical colleges under their jurisdiction. Some of those baccalaureate colleges have been accredited with the status of a deemed university. 123 engineering, 35 medical and 40 dental colleges provide programs in the state. Udupi, Sringeri, Gokarna and Melkote have become well reknown places of Sanskrit and Vedic learning. The era of Kannada newspapers started in the year 1843 when Hermann Mögling, a missionary from Basel Mission, published the first Kannada newspaper called Mangalooru Samachara in Mangalore. Bhashyam Bhashyacharya started the first Kannada periodical, Mysuru Vrittanta Bodhini in Mysore. Shortly after Indian independence in 1948, K. N. Guruswamy founded The Printers (Mysore Private Limited) and began publishing two newspapers, the Deccan Herald and Prajavani. Presently the Times of India and Vijaya Karnataka stand as the largest-selling English and Kannada newspapers respectively. A vast number of weekly, biweekly and monthly magazines publish in both Kannada and English. Doordarshan acts as the broadcaster of the Government of India and its channel DD Chandana uses Kannada exclusively. Prominent Kannada channels include ETV Kannada, Zee Kannada, Udaya TV, Ushe TV, U2, TV 9 and Kasturi TV. Karnataka occupies a special place in the history of Indian radio. In 1935, Prof. M.V. Gopalaswamy started Aakashvani, the first private radio station in India, at Mysore. The local municipality took over the popular radio station, followed by All India Radio (AIR) which then moved the station to Bangalore in 1955. Later in 1957, AIR adopted the original name of the radio station, Aakashavani as its own. Some of the popular programs aired by AIR Bangalore included Nisarga Sampada and Sasya Sanjeevini, programs that taught science through songs, plays and stories. Those two programs became so popular that the producers translated them, broadcasting in 18 different languages and the entire series was recorded on cassettes by the Government of Karnataka and distributed to thousands of schools across the state. Recently, Karnataka has witnessed a growth in FM radio channels mainly in the city of Bangalore which has around ten such channels and these have become hugely popular. 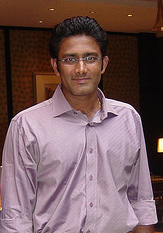 Anil Kumble is the highest wicket-taker for India in international cricket. Karnataka's smallest district, Kodagu, has been a major contributor to Indian field hockey, producing numerous players who have represented India at the international level. The annual Kodava Hockey Festival is the largest hockey tournament in the world. Bangalore has hosted a WTA tennis event and, in 1997, it hosted the fourth National Games of India. The Sports Authority of India, the premier sports institute in the country, and the Nike Tennis Academy also headquarter in Bangalore. Karnataka has been referred to as the cradle of Indian swimming because of its high standards in comparison to other states. Cricket represents one of the most popular sports in Karnataka. The state cricket team has won the Ranji Trophy six times, second only to Mumbai in terms of success. Chinnaswamy Stadium in Bangalore regularly hosts international matches, also serving as home of the National Cricket Academy, opened in 2000 to nurture potential international players. Many cricketers have represented India and in some international matches held in the 1990s; players from Karnataka composed the majority of the national team.Vijay Bharadwaj, Rahul Dravid, Javagal Srinath, Sunil Joshi, Anil Kumble and Venkatesh Prasad, all from Karnataka, played in this match: People play sports like kho kho, kabaddi, chinni daandu and goli (marbles) mostly in Karnataka's rural areas. Notable sportsmen from Karnataka include Prakash Padukone who won the All England Badminton Championships in 1980 and Pankaj Advani who has won three world titles in cue sports by the age of 20 including the amateur World Snooker Championship in 2003 and the World Billiards Championship in 2005. Karnataka has a rich diversity of flora and fauna. It has a recorded forest area of 38,720 km² (14,950 sq mi) which constitutes 20.19 percent of the total geographical area of the state. Those forests support 25 percent of the elephant and 10 percent of the tiger population of India. Many regions of Karnataka have remained unexplored, so scientists discover new species of flora and fauna periodically. The Western Ghats, a biodiversity hotspot, includes the western region of Karnataka. UNESCO has placed two sub-clusters in the Western Ghats, viz. Talacauvery and Kudremukh, both in Karnataka, on the tentative list of World Heritage Sites. The Bandipur and Nagarahole National Parks, which fall outside those subclusters, have been included in the Nilgiri Biosphere Reserve in 1986, a UNESCO designation. 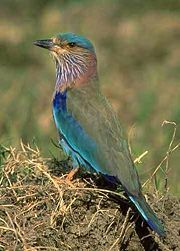 The government has recognized the Indian roller and the Indian elephant as the state bird and animal while sandalwood and the lotus received the state tree and flower designation respectively. Karnataka has five national parks: Anshi, Bandipur, Bannerghatta, Kudremukh and Nagarhole. It also has 25 wildlife sanctuaries of which seven are bird sanctuaries. Wild animals found in Karnataka include the elephant, the tiger, the leopard, the gaur, the sambar deer, the chital or spotted deer, the muntjac, the bonnet macaque, the slender loris, the common palm civet, the small Indian civet, the sloth bear, the dhole, the striped hyena and the golden jackal. Some of the birds found here include the Great Hornbill, the Malabar Pied Hornbill, the Ceylon frogmouth, herons, ducks, kites, eagles, falcons, quails, partridges, lapwings, sandpipers, pigeons, doves, parakeets, cuckoos, owls, nightjars, swifts, kingfishers, bee-eaters and munias. Some species of trees found in Karnataka are Callophyllum tomentosa, Callophyllum wightianum, Garcina cambogia, Garcina morealla, Alstonia scholaris, Flacourtia montana, Artocarpus hirsutus, Artocarpus lacoocha, Cinnamomum zeylanicum, Grewia tilaefolia, Santalum album, Shorea talura, Emblica officinalis, Vitex altissima, and Wrightia tinctoria. Poaching, habitat destruction, human-wildlife conflict and pollution threaten wildlife in Karnataka. By virtue of its varied geography and long history, Karnataka hosts numerous historical and cultural spots of interest. An array of ancient sculptured temples, modern cities, scenic hill ranges, unexplored forests and endless beaches greet the visitor. Karnataka has been ranked as the fourth most popular destination for tourism among the states of India. Karnataka has the second highest number of nationally protected monuments in India, second only to Uttar Pradesh, in addition to 752 monuments protected by the State Directorate of Archaeology and Museums. Another 25,000 monuments await protection. Mysore Palace at Mysore represents one of the most visited monuments in India. The districts of the Western Ghats and the southern districts of the state have popular eco-tourism locations including Kudremukh, Madikeri and Agumbe. Karnataka has 25 wildlife sanctuaries and five national parks. Bandipur National Park, Bannerghatta National Park and Nagarhole National Park rank most popular among them. UNESCO has designate the ruins of the Vijayanagara Empire at Hampi and the monuments of Pattadakal World Heritage Sites. The cave temples at Badami and the rock-cut temples at Aihole representing the Badami Chalukyan style of architecture are also popular tourist destinations. UNESCO has proposed the Hoysala temples at Belur and Halebidu, built with Chloritic schist (soap stone), as World Heritage sites. The Gol Gumbaz and Ibrahim Rauza represent famous examples of the Deccan Sultanate style of architecture. The monolith of Gomateshwara at Shravanabelagola measures the tallest sculpted monolith in the world, attracting tens of thousands of pilgrims during the Mahamastakabhisheka festival. The waterfalls of Karnataka and Kudremukh National Park have been listed as must-see places and among the "1001 Natural Wonders of the World." Jog Falls has been listed as India's tallest single-tiered waterfall with Unchalli Falls, Magod Falls, Abbey Falls and Shivanasamudra Falls among other popular waterfalls. Several popular beaches dot the coastline including Murudeshwara, Gokarna and Karwar. In addition, Karnataka serves as home to several places of religious importance. Several Hindu temples including the famous Udupi Krishna Temple, the Marikamba Temple at Sirsi, the Sri Manjunatha Temple at Dharmasthala and Sharadamba Temple at Sringeri attract pilgrims from all over India. Most of the holy sites of Lingayats, like Kudalasangama and Basavana Bagewadi, may be found in northern parts of the state. 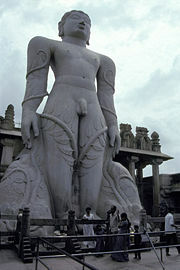 Shravanabelagola, Mudabidri and Karkala number among the most famous for Jain history and monuments. The Jaina faith had a stronghold in Karnataka in the early medieval period with Shravanabelagola as its most important center. Recently Karnataka has emerged as a hot spot for health care tourism. Karnataka has the highest number of approved health systems and alternative therapies in India. Along with some ISO certified government-owned hospitals, private institutions which provide international-quality services have caused the health care industry to grow by 30 percent during 2004-2005. Hospitals in Karnataka treat around 8000 health tourists every year. ↑ Chief Minister of Karnataka - As of now, it is President of India. rediff.com. ↑ James Talboys Wheeler. Early Records of British India. (London: (1878) reprint Barnes & Noble, 1972. ISBN 0389045136), 98. That means principally the western half of that area, but the rulers there controlled the Coromandel Coast as well. ↑ From the Talagunda inscription, Dr. B. L. Rice, in Suryanath U. Kamath. Concise history of Karnataka. (MCC, Bangalore, 2001), 30. ↑ Anant Sadashiv Altekar. The Rashtrakutas And Their Times; being a political, administrative, religious, social, economic and literary history of the Deccan during C. 750 C.E. to C. 1000 C.E. (Poona: Oriental Book Agency, 1934), 21–24. ↑ Colin P. Masica. The Indo-Aryan Languages. (Cambridge, UK: Cambridge University Press, 1991. ISBN 0521299446), 45-46. ↑ Balagamve in Mysore territory was an early power centre. see Henry Cousens. The Chalukyan Architecture of Kanarese District. (New Delhi: Archeological Survey of India, (1926) reprint ed. 1996), 10, 105. ↑ Tailapa II, the founder king was the governor of Tardavadi in modern Bijapur district, under the Rashtrakutas. Kamath, 2001, 101. ↑ Gerard Foekema. Architecture decorated with architecture: Later medieval temples of Karnataka, 1000-1300 C.E. (New Delhi: Munshiram Manoharlal Publishers Pvt. Ltd., 2003. ISBN 8121510899), 9. ↑ K. A. Nilakanta Sastri. A History of South India, From Prehistoric times to fall of Vijayanagar. (New Delhi: OUP, (1955). Reprinted 2002. ISBN 0195606868), 358-359, 361. ↑ Parvathi Menon. Karnataka's agony. Online Edition of the Frontline, Volume 18 - Issue 17, Aug. 18 - 31, 2001. Frontline. Retrieved 2007-05-04. ↑ 36.0 36.1 Ramachandra T.V. and Kamakshi G.. Bioresource Potential of Karnataka. Technical Report No. 109, November 2005. Centre for Ecological Sciences, Indian Institute of Science, Bangalore. Retrieved 2007-05-05. ↑ Agumbe receives the second highest rainfall in India. Arabinda Ghose. Link Godavari, Krishna & Cauvery. Online Edition of the Central Chronicle, dated 2007-03-28. 2007, Central Chronicle. Retrieved 2007-05-16. ↑ Karnataka - An Introduction. Official website of the Karnataka legislature. Retrieved 2007-10-04. ↑ 39.0 39.1 2 new districts notified in Bangalore. Online Edition of The Times of India, dated 2007-08-06. Retrieved 2007-08-09. ↑ Karnataka, Population: Persons (Total). Online webpage of the Census of India, 2001. Retrieved 2007-10-04. ↑ India (Religion), Census of 2001. Online Webpage of Census of India. Registrar General, Government of India. Retrieved 2007-06-15. ↑ A. R. Fatihi. Urdu in Karnataka. Online webpage of Language in India, Volume 2 : 2002-12-09. M. S. Thirumalai, Managing Editor, Language in India. Retrieved 2007-06-29. ↑ Envisaging a healthy growth. Online Webpage of the Frontline. The Hindu. Retrieved 2007-06-21. ↑ 44.0 44.1 Karnataka bets big on healthcare tourism. Online webpage of the Hindu Business Line, dated 2004-11-23. 2004, The Hindu. Retrieved 2007-06-21. ↑ Ticking child healthcare time bomb. Online Webpage of the Education World. Education World. Retrieved 2007-06-21. ↑ 46.0 46.1 Origin and Growth of Karnataka Legislature. Online Webpage of the Government of Karnataka. Government of Karnataka. Retrieved 2007-05-05. ↑ Lok Sabha-Introduction. Online webpage of the Indian Parliament. Govt. of India. Retrieved 2007-06-04. ↑ Statistics - Karnataka state. Online webpage of the Forest Department. Government of Karnataka. Retrieved 2007-06-04. ↑ Karnataka Politics - Suspense till January 27. Online webpage of OurKarnataka.com. OurKarnataka.Com,Inc.. Retrieved 2007-06-04. ↑ "'Government not keen on solving Kasaragod dispute'", The Hindu, 2005-10-24. Retrieved 2007-10-25. ↑ "Border row: Government told to find permanent solution", The Hindu, 2006-09-29. Retrieved 2007-10-25. ↑ H. Chittaranjan, (ed.) Handbook of Karnataka. (Gazetteer Department of the Government of Karnataka, 2005. ), Chapter XIII, 332-337. ↑ Chittaranjan, Chapter XIII, 350-352. ↑ Fearing persecution by the Cholas, staunch Shaivaites, Ramanujacharya came to Karnataka in 1098 and lived there until 1122. He first lived in Tondanur and then moved to Melkote where the Cheluvanarayana Temple and a well organized Matha had been built. 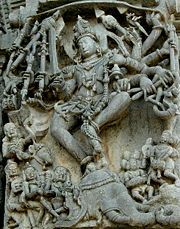 The Hoysala king, Vishnuvardhana patronized him. Kamath, 2001, 150-152. ↑ Literacy Rate State/UT Wise. Online webpage of the National Literacy Mission, India. Retrieved 2007-11-01. ↑ 87.0 87.1 Number of schools in Karnataka as of 31-03-2006. Online webpage of the Department of Public Instruction. Government of Karnataka. Retrieved 2007-06-06. ↑ Mid-day meal scheme extended. Online Edition of The Times of India, dated 2007-05-16. Times Internet Limited. Retrieved 2007-06-06. ↑ Districtwise and Universitywise degree college statistics for 2006-07. Online webpage of the Department of Collegiate Education. Government of Karnataka. Retrieved 2007-06-06. ↑ CET brochure 2007. Online webpage of the Common Entrance Test Cell. Government of Karnataka. Retrieved 2007-06-06. ↑ A field day in Coorg. The Hindu magazine. accessdate 2007-06-10 quote = "Since Coorg (Kodagu) was the cradle of Indian hockey, with over 50 players from the region going on to represent the nation so far, seven of whom were Olympians…"
↑ Krishnakumar, A field day in Coorg. accessdate 2007-06-10, 2004-06-13 The Hindu. quote= "…the festival assumed such monstrous proportions (one year, 350 families took part in the festival) that it found place in the Limca Book of Records. It was recognized as the largest hockey tournament in the world. This has been referred to the Guinness Book of World Records too." ↑ 101.0 101.1 101.2 101.3 A Walk on the Wild Side, An Information Guide to National Parks and Wildlife Sanctuaries of Karnataka, Compiled and Edited by Dr. Nima Manjrekar. (Karnataka Forest Department, Wildlife Wing, October 2000). ↑ Michael Bright. 1001 Natural Wonders of the World. (Barrons Educational Series Inc., published by Quinted Inc., 2005). Adiga, Malini. The Making of Southern Karnataka: Society, Polity and Culture in the early medieval period, AD 400-1030. Chennai: Orient Longman, 2006. ISBN 8125029125. Altekar, Anant Sadashiv. The Rashtrakutas And Their Times; being a political, administrative, religious, social, economic and literary history of the Deccan during C. 750 C.E. to C. 1000 C.E. Poona: Oriental Book Agency, 1934. oclc 3793499. Bright, Michael. 1001 Natural Wonders of the World. Barrons Educational Series Inc., published by Quinted Inc., 2005. Cousens, Henry. The Chalukyan Architecture of Kanarese District. New Delhi: Archeological Survey of India, (1926) 1996. oclc 37526233. Foekema, Gerard. Architecture decorated with architecture: Later medieval temples of Karnataka, 1000-1300 C.E. New Delhi: Munshiram Manoharlal Publishers Pvt. Ltd., 2003. ISBN 8121510899. Keay, John. India: A History. New York: Grove publications, 2000. ISBN 0802137970. Kulke, Hermann, and Dietmar Rothermund. A History of India, fourth ed., Routledge, 2004. ISBN 0415329191. Masica, Colin P. The Indo-Aryan Languages. Cambridge, UK: Cambridge University Press, 1991. ISBN 0521299446. Lord Macaulay. Macaulay's Essay On Lord Clive, edited by Preston C. Farrar. (original 1910) reprint ed. Kessinger Publishing, 2004. ISBN 0766185575. Moraes, George M. The Kadamba Kula, A History of Ancient and Medieval Karnataka. New Delhi; Madras: Asian Educational Services, 1990. ISBN 8120605950. Narasimhacharya, R. History of Kannada Literature. New Delhi; Madras Asian Educational Services, 1988. ISBN 8120603036. Nilakanta Sastri, K.A. A History of South India, From Prehistoric times to fall of Vijayanagar. New Delhi: OUP, (1955). Reprinted 2002. ISBN 0195606868. Ramesh, K.V. Chalukyas of Vatapi. Delhi: Agam Kala Prakashan, 1984. ISBN 398710333. Wheeler, James Talboys. Early Records of British India. London: (1878) reprint Barnes & Noble, 1972. ISBN 0389045136. Official website of the Government of Karnataka. This page was last modified on 13 April 2018, at 14:27.